OFC Starquad Microphone Cable MLX4 | Belcom Cables Ltd.
MLX4 is a professional grade oxygen free microphone cable. It has a LAP screen and an enlarged sheath which is made of a very soft and flexible compound mix with matt finish. For use in noisy areas since the starquad design cancels out interference and external noise, so it’s ideal for noisy areas. 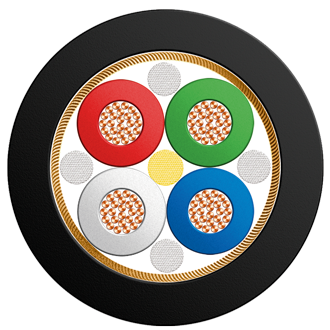 The cable also has a kevlar strength member adding to the cables durability.